Here are the most interesting Alibaba statistics and facts I have dug up over the years. As always, I’ll be adding and updating as new statistics pop up along the way. The Western expansion of the Chinese digital mega-companies is underway. One of these gigantic companies is the Chinese digital shopping conglomerate Alibaba who recently had its ownAmerican IPO. 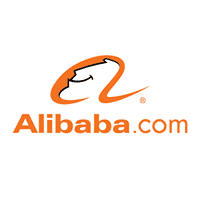 Alibabais often referred to as the Chinese Amazon (without the fulfillment element). With stats like the ones below, one can understand the general comparison. How many people shop on Alibaba? How many people use Xiami? Report 1:Alibaba Properties Report(Alibaba, Alipay, Tmalland Taobao). Report 2:China DigitalCompanies Report (Alibaba, Alipay, Baidu, Ctrip, JD.com, QQ, YY, Tmall, Taobao, WeChat and Weibo). Report 3: eCommerce Companies Report (Alibaba, Alipay, Amazon, Amazon Prime, Ebay, Etsy, Flipkart, JD.com, Tmall, Taobao, PayPal, Paytm and Square).